Do you like to get lost in the beauty of your city? 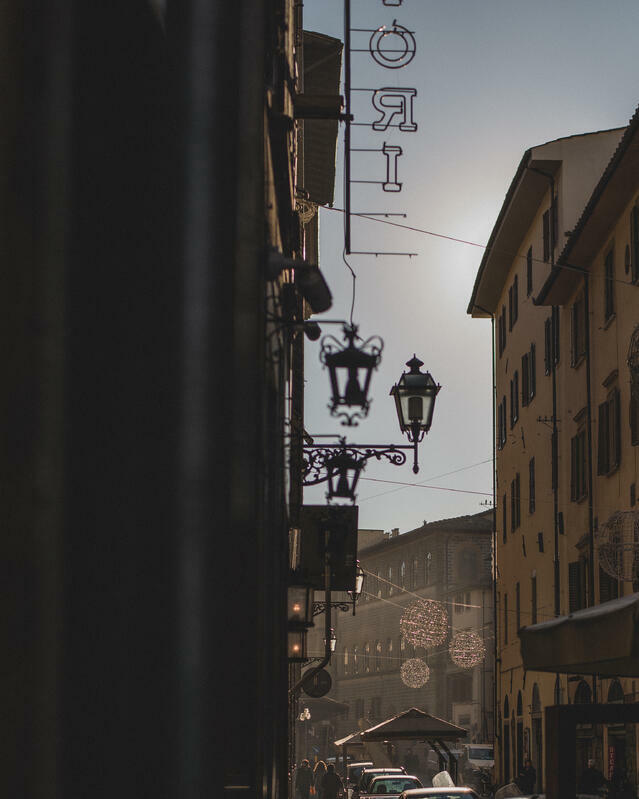 In this week's post, Daniel shows us some snapshots on what his daily 15-minute commute is like in Florence. 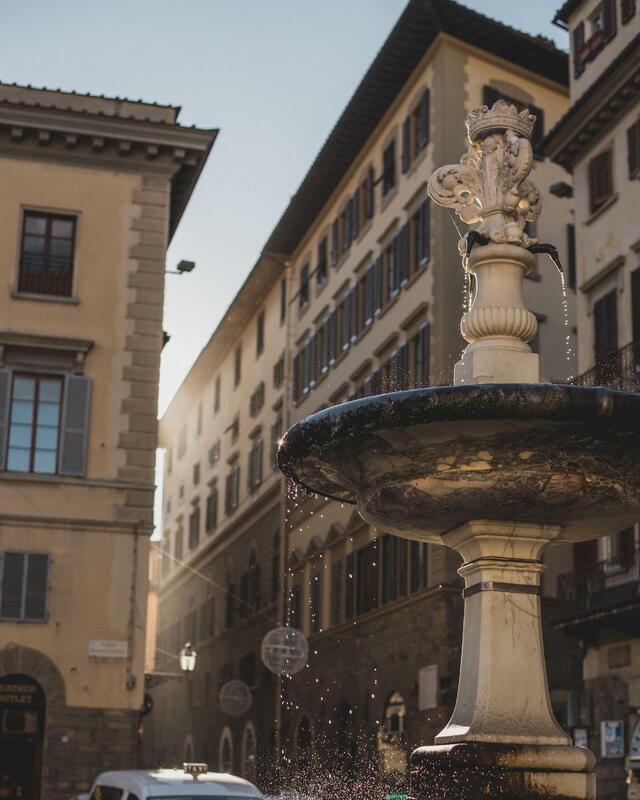 Whether it's your first encounter or your fifteenth brush with the city, Florence knows how to simply captivate you and make you fall in love with it. In addition to my studies with CAPA, I chose to participate in the internship program that they offer. 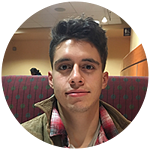 I am going to be interning with ShippyPro, a company that offers shipping and logistic solutions for small to large companies. The office is located about 15 minutes away from my apartment, and I wanted to share the amazing sights that I’ve encountered in making this short commute to work. You could not escape Florence’s beauty even if you tried. 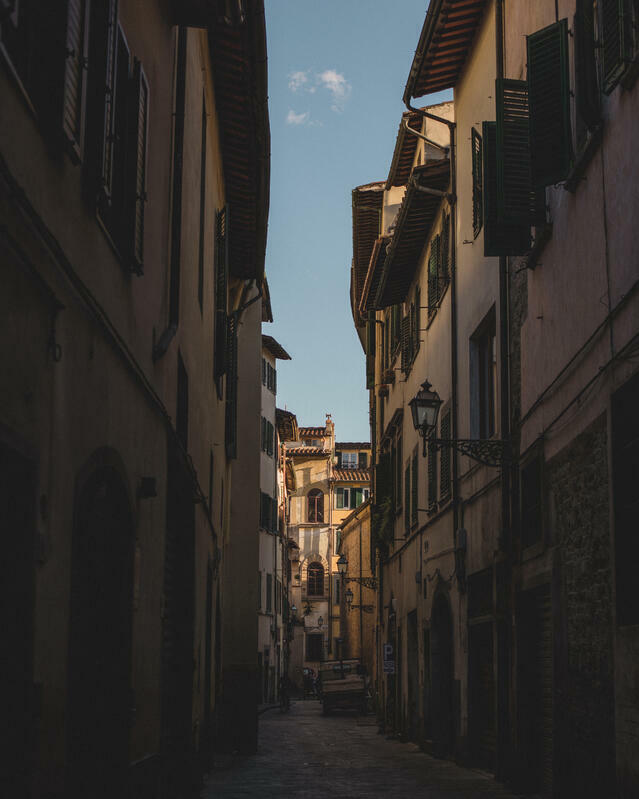 Wandering through Florence’s narrow streets and alleys I quickly found myself lost, not only in the city’s beauty, but also quite literally in its extraordinary layout. Every corner that I turned left me breathless yet again. It does take a couple of days of getting used to, as you might expect, but in no time I have started to develop a sort of mental map of my surrounding areas. I definitely see myself becoming way more comfortable with getting around the city in the coming weeks. Decorations hanging down over a street near the Basilica of Santa Croce. The most striking sight I encounter on my way to the office is by far the Basilica of Santa Croce. 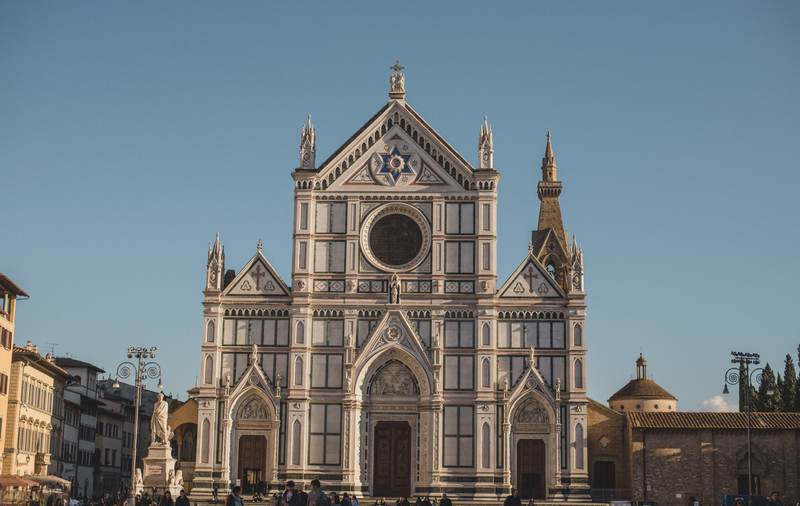 It is an awe inspiring Neo-Gothic Franciscan church nestled in the Piazza di Santa Croce. 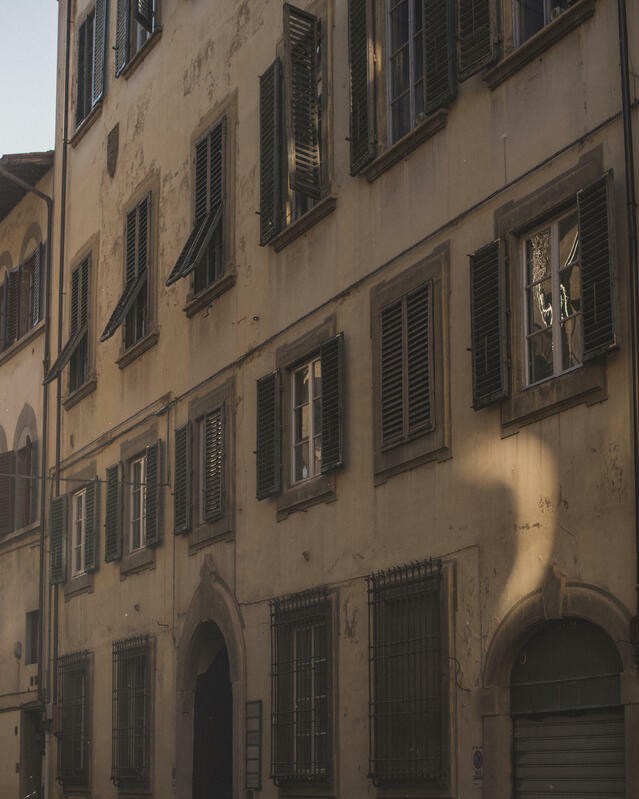 Within its ancient walls you will find the tombs of two of Florence’s great minds, Michelangelo and Galileo. In front of the Basilica stands an impressive statue of Dante. On the opposite side of the Piazza stands this small fountain. The beautiful architecture by no means stops there. Everywhere you look you will find that beautifully designed buildings and little restaurants/cafes that make you feel like you’re in an Italian film from the 1930s. The light reflection of a small car zigzagging down a busy street. 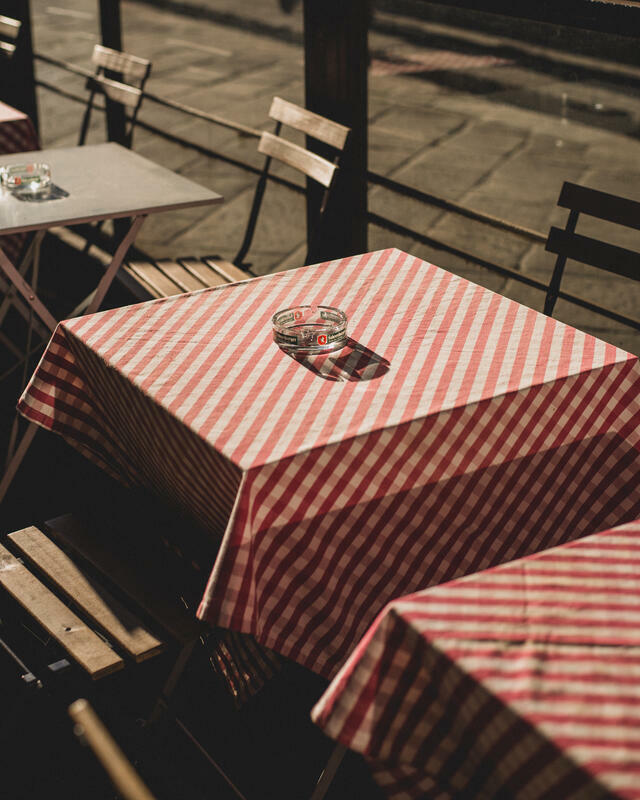 A recently cleared cafe table. Something that is hard to avoid is the constant bustle of construction that can be found on almost any street. However, Florence repays you tenfold in beautifully preserved spaces you get in return for this construction. 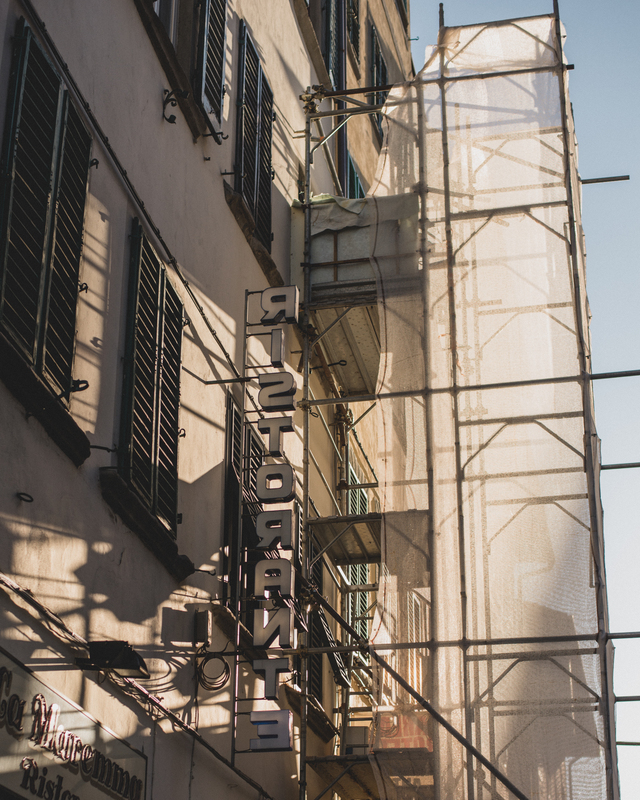 Some scaffolding next to a small restaurant close to the Arno river. 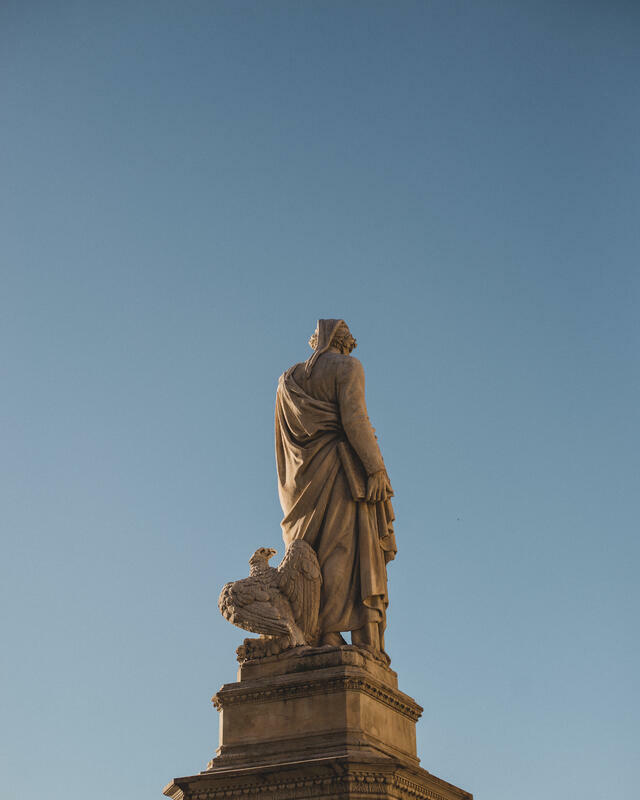 I have been in Florence for almost a week now and I can say that it has completely surpassed any expectations that I had of the city from before. I can’t wait to continue sharing my experience with you.